Iron Mountain(R) Incorporated (NYSE:IRM) , the storage and information management company, today announced that Ellen Hall, formerly of Prologis, has joined the company as its Global Head of Real Estate Investment. Hall will report directly to Iron Mountain’s Chief Financial Officer Rod Day. In this newly created role, Hall will be responsible for refining and executing an optimal global real estate investment and portfolio strategy, thereby enhancing Iron Mountain’s position within the real estate investment trust (REIT) community. Working in close partnership with Iron Mountain’s corporate real estate team responsible for leasing, project delivery and facility management for the global real estate portfolio, the Investment Leader will provide input and guidance to drive a strategy to deliver growth, drive value, support enterprise financial performance, and capitalize on the Company’s REIT status. 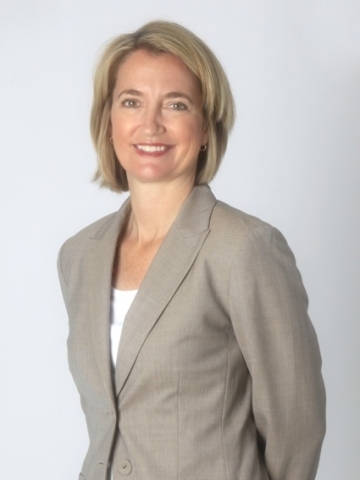 Hall joins Iron Mountain from Prologis, where she held various executive leadership roles and had been instrumental in establishing the company’s global investment strategy. Most recently, she served as senior vice president and fund manager of two of the company’s international logistics funds. Prior to that, she served as senior vice president and transactions director for Europe and Asia for AMB Property Corporation, which merged with Prologis in 2011. She also held several real estate transaction-focused positions at AMB after joining the company in 1998. Hall holds a bachelor of science in business administration and finance from Boston University and received her MBA from the Judge Business School at the University of Cambridge in England. While at Prologis, Hall helped found Breakthrough, a global corporate initiative promoting diversity in the workplace. Iron Mountain Incorporated (NYSE:IRM) is a leading provider of storage and information management services. The company’s real estate network of over 67 million square feet across more than 1,000 facilities in 36 countries allows it to serve customers with speed and accuracy. And its solutions for records management, data management, document management, and secure shredding help organizations to lower storage costs, comply with regulations, recover from disaster, and better use their information for business advantage. Founded in 1951, Iron Mountain stores and protects billions of information assets, including business documents, backup tapes, electronic files and medical data. Visit www.ironmountain.com for more information.